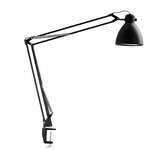 Jac Jacobsen (1901-1996) was the founder of Luxo, which has been a prominent supplier of luminaires for over 70 years. 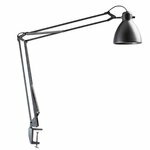 In 1934 Jac Jacobsen laid the basis for a company that today manufactures lighting solutions in three countries and has sales units throughout Europe, the USA and Canada. Jac Jacobsen started his business importing textile machinery. 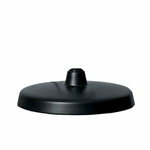 After some years, the company also comprised three other sectors; lighting, ventilation and Venetian blinds. Today, focus is given to the lighting sector only. 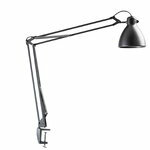 In 1936 Jac Jacobsen received two crane-like spring balanced “monster” luminaires included in a shipment of sewing machines from England. Supposedly, these luminaires were sent to help operating the machines. 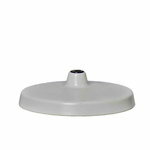 Being technically minded, Jac Jacobsen took a fancy to the strange looking luminaires, and contacted the supplier in England to get the distributorship for Norway. 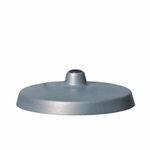 It was given on the condition that he bought mechanical parts for 500 luminaires – a substantial number at the time – and that he obtained product approval by the Norwegian safety authorities. Although the technical invention comprising the luminaire arm was ingenious, the luminaire construction as a whole was primitive and had to be improved a great deal by Jac Jacobsen before being approved and presented to the market. He succeeded – and manufacturing started in Oslo in the autumn of 1938. 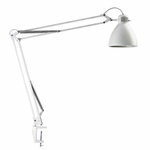 He derived the name LUXO from Latin – “I give light”. Jac Jacobsen saw the great functional and timeless beauty of this luminaire, and he successively obtained license to produce and market the product in all countries outside the Commonwealth. 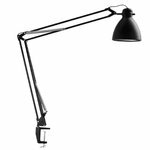 Nearly 70 years later, the original version of the Luxo architect luminaire, L-1, is still in production, and more than 25 million Luxo luminaires have been sold worldwide. 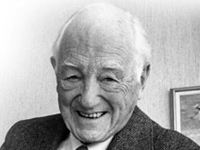 Jac Jacobsen lived to be 95 years old and was active in the company until his last days.